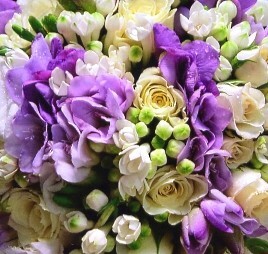 Island Flower and Garden has beautiful flowers for every occasion! A European style florist providing both retail and commercial floral services, specializing in interior and exterior weddings, receptions and rehearsal dinners at private homes and resort facilities on Amelia Island, Fernandina Beach and Cumberland Island. We’re a local Amelia Island, Florida florist serving the area for over 30 years, with a wonderful variety of fresh flowers, plants and unique gift ideas. 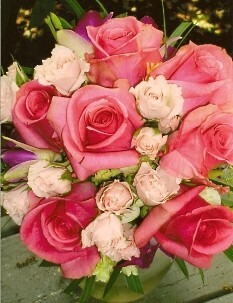 We specialize in upscale design and personal service to ensure your floral gift exquisite. We hope you enjoy your online shopping experience with secure 24-hour ordering right at your fingertips. If preferred, you may call us to place orders direct at (904) 491-5056. It is our pleasure to assist you with any local, as well as worldwide deliveries and remember that corporate accounts are always welcome. For your convenience, we offer daily floral delivery to local funeral homes and hospitals. We also deliver to all area hotels and resorts. Our talented designers are ready to help you plan the bouquets, arrangements and on-site decorating for your dream wedding or any special occasion - from small beach weddings to hotel galas. 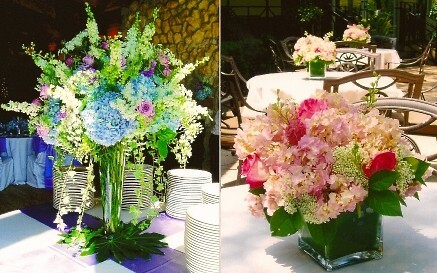 We are your premier florist for corporate events. We offer plant leasing and rentals, including palms, trees with lights, ferns, and even full garden sets. Visit our custom website photo gallery to view photos of our wedding and special event creations. Once you have chosen a date, call in advance at (904) 491-5056 and set up an appointment for a consultation, so we can discuss the services that will make your event memorable for you and your guests. You can always depend on the courteous staff at Island Flowers & Garden to help you with ordering flowers for the funeral of a friend or loved one. Let us design and deliver a funeral arrangement that beautifully conveys your expression of sympathy and serves as a lovely memorial to the deceased. Choose from our European Garden Baskets, Green Plants, Blooming Plants, Dish Gardens, Fruit Baskets, Gourmet Baskets, Gift Baskets, Home Décor, Tropical Flowers, Exotic Arrangements, Unique Gift Line, French Antiques and more. Island Flower & Garden is the exclusive floral designer and foliage set provider for the Amelia Island Chamber Music Festival, Michah's Home Tour, Concourse de Elegance and Goodings & Company. THANK YOU FOR VISITING OUR WEBSITE WITH FLOWERS DELIVERED FRESH FROM YOUR LOCAL FERNANDINA BEACH, FL FLOWER SHOP AND CONVENIENT ONLINE ORDERING 24/7!